The FIS World Cup at Holmenkollen will be a historical event with the inauguration of a new sports arena. There will also be giant screens, spectator competitions, circulating commentators, live music and reports from spectators and participants. “The atmosphere at the arena will be tremendous,” claims Per Th. Hansen, general manager of Produsentene AS. 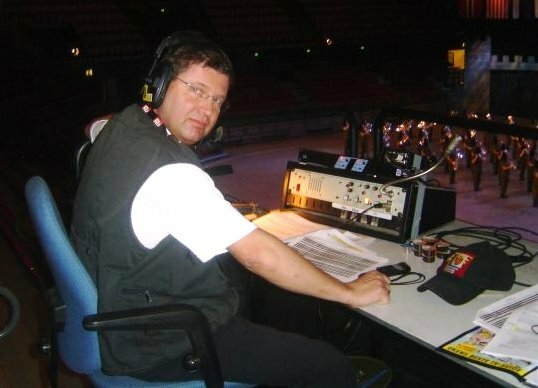 Hansen, responsible for the arena production at Holmenkollen during the World Cup, says that spectators who attend will have an unforgettable experience. It isn’t like it used to be, when spectators risked missing the action the television viewers benefited from. “Current technology provides spectators with a whole new dimension. In addition to experiencing all the action first hand, spectators will have a much more active role. They will experience that they are an important part of the overall event,” says Hansen. Giant screens will be placed both at the ski jumping arena, the cross-country stadium and at Frognerseteren. At these locations there will be interactive communication in order to beef up the atmosphere and involve the spectators. People can submit mobile pictures for display on the screens and participate in ongoing competitions with prizes. The tradition at Holmenkollen dictates that a few thousand spectators gather at Frognerseteren to see the racers up close. Here there will be a giant screen and separate circulating commentators who will move around interviewing happy people. “There will also be a main announcer and circulating commentators at the stadium. We have engaged some of the world’s most experienced commentators and arena producers. Everything will be broadcast on the giant screens so that the spectators can follow every arena. The circulating commentators will also provide live reports from the technical area and comments from the racers. Spectators won’t miss anything,” Hansen says enthusiastically. No matter whether you are at the stadium, at Frognerseteren, or standing along the track, there will be entertainment beyond just sports. “We will have Åge Sten Nilsen, better known as “Glam” from the band Wig Wam. Glam will do what he does best, that is circulating amongst spectators and getting the spirits up by singing hits. The atmosphere will be incredible,” says Hansen. Hansen emphasizes that traditional folk music will also be represented. The music selection will take international, traditional and generational preferences into account. Hansen believes spectators are in for a completely new experience. “There will be interaction between the city and countryside, between art and technology, where everything is accurately coordinated so the supplemental entertainment doesn’t interfere with the actual sporting event. On behalf of Produsentene I would like to welcome spectators to Holmenkollen in March,” says Hansen.